Joy Drury Cox created this gif especially for Blonde Art Books for the occasion of the release of her new publication, Old Man and Sea. The piece first existed as a set of unique drawings of ink on mylar, one for every page of the artist’s copy of The Old and the Sea by Ernest Hemingway. 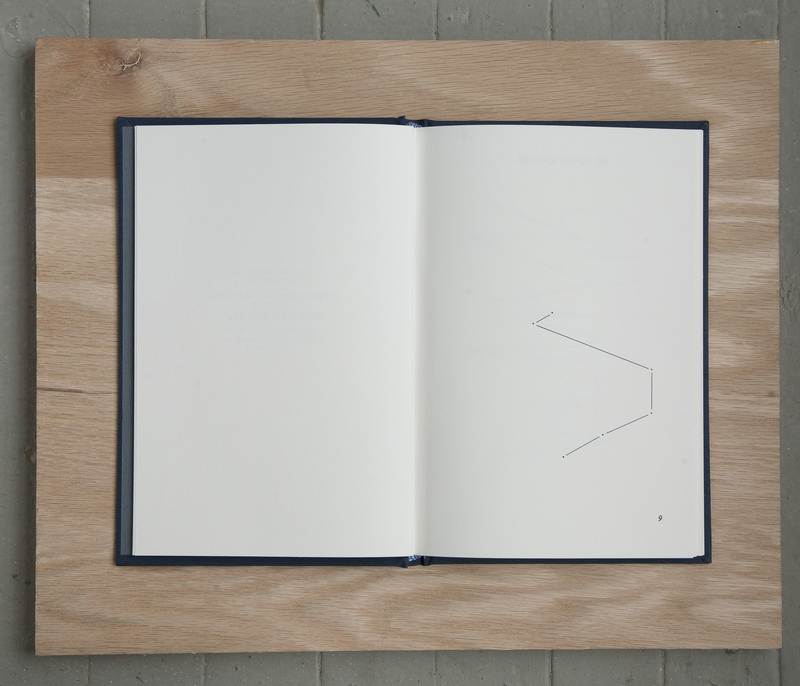 The publication by Conveyor Arts is a limited edition artist book based off of the original drawings. 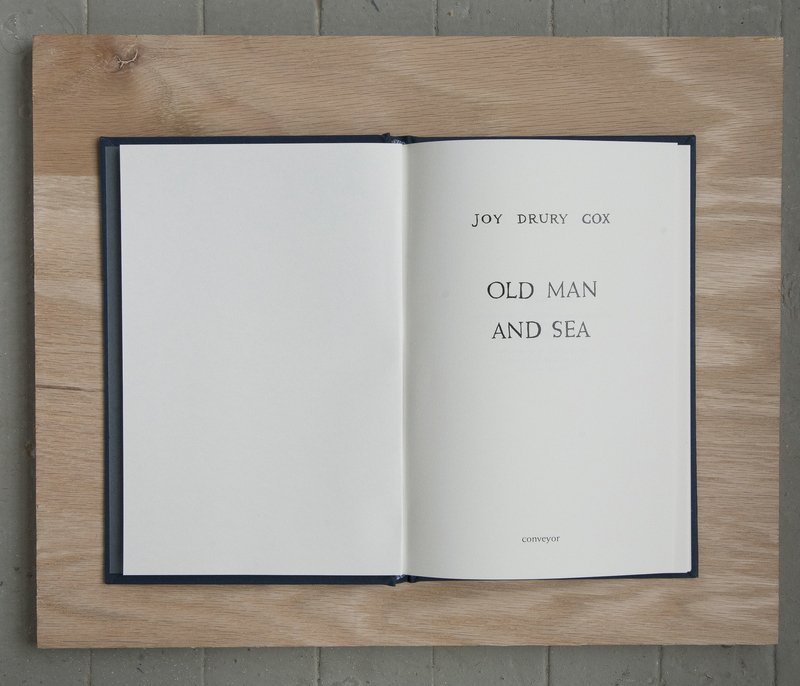 In her serene interpretation of Hemingway’s The Old Man and the Sea, Joy Drury Cox offers a fresh understanding of time and language. 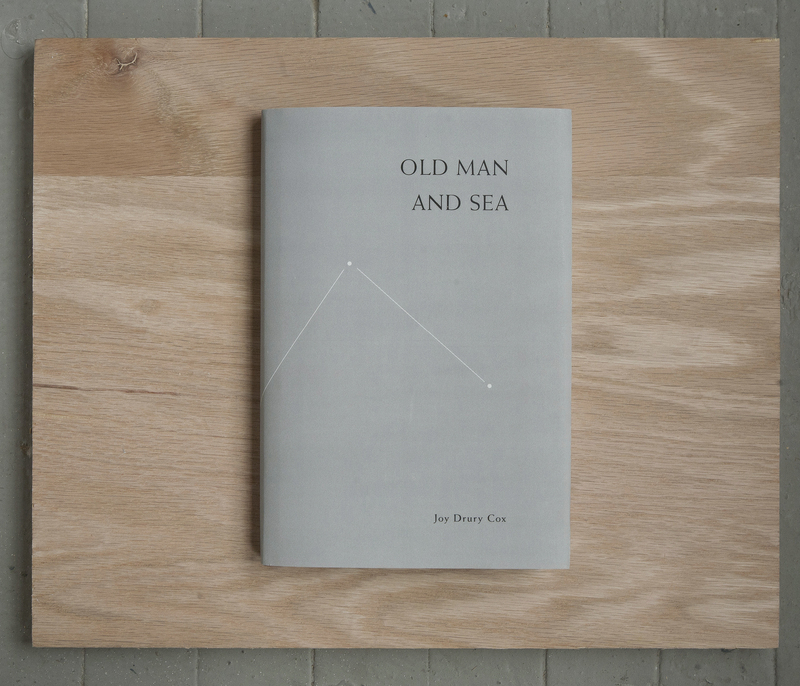 By simplifying this quintessentially American tome to its most basic construction, Old Man and Sea evokes the literal and metaphorical elements of the trace. Honoring the original form of Hemingway’s novel, Cox has replicated the exact dimensions of her own well-worn paperback edition. Using Hemingway’s periods as a guide, Cox creates new patterns and possibilities for understanding his familiar language. Admittedly this new reading of the work is at first primarily visual. Though, by preserving only the pauses and allowing us to make the journey between them, our sense of Hemingway’s pace enters a new dimension, and elements of meter and tempo begin to work their way onto the page. Periods are typically designated to denote conclusion. However, in this edition, lines elegantly replace the author’s swirling current of words; the period becomes a gateway. 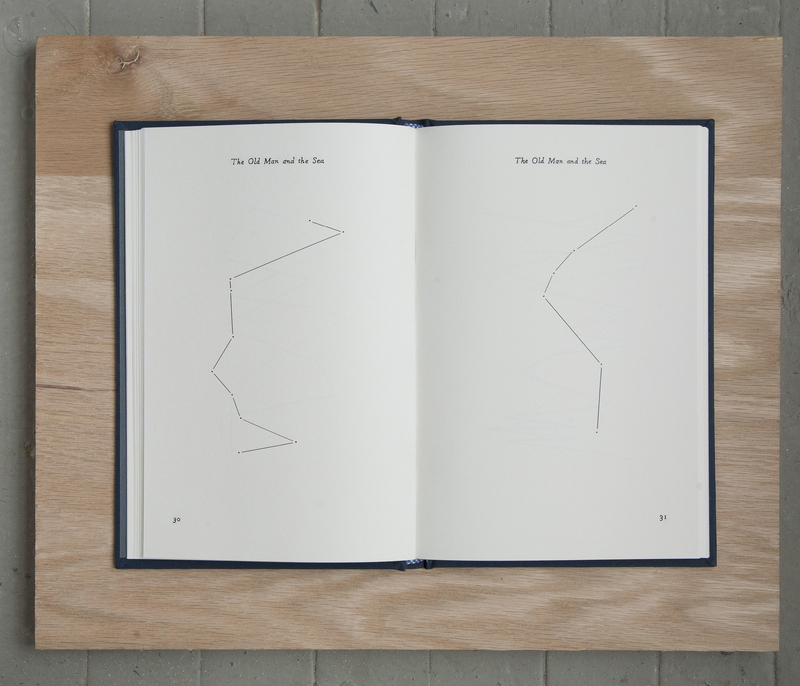 These abstract constellations function as a guide through Hemingway’s universe, while forming on each page a tiny cosmos. The patterns vary from subtle rhythms of sweeping strands to frantically acute angles that communicate urgency. Through her intervention in the text, Cox inserts her own voice in a form reminiscent of a melodic composition. Her pristine ghostly drawings elevate Hemingway’s original moments of pause to the peak of the dramatic arc. Joy Drury Cox is a native of Atlanta, GA. In 2001, she graduated with a B.A. in English from Emory University. And later earned her M.F.A. from the School of Art and Art History at the University of Florida. Her work has been exhibited at various places in the greater New York area, including The Center for Book Arts, The Drawing Center and Mixed Greens. Her projects are included in two upcoming exhibitions Small Works, curated by amani olu and Jon Feinstein, at The Magenta Flash Forward Festival in Boston and Hidden in Plain Sight, curated by David Andrew Frey, at numberthirtyfive in Manhattan, NY. Old Man and Sea will be released in a Limited Edition of 250.